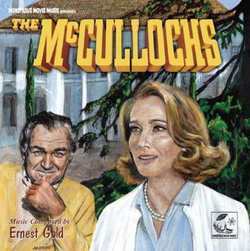 The McCullochs is one of Ernest Gold’s least known scores, but that doesn’t mean it isn’t an extremely well-written and enjoyable work. The Academy Award-winning composer (Exodus, Inherit the Wind, It’s a Mad, Mad, Mad, Mad World) wrote an extremely diverse score for this 1975 movie that was a loose remake of The Quiet Man, and which starred Forrest Tucker, Julie Adams, and Max Baer, Jr. The music combines Americana, Irish melodies, Big Band, jazz, comedy, and other styles, and it was a score the composer was quite proud of. 5/5 It's just that good!